Jolie Petite Chose Kitty blankets - purrfect for the nursery! 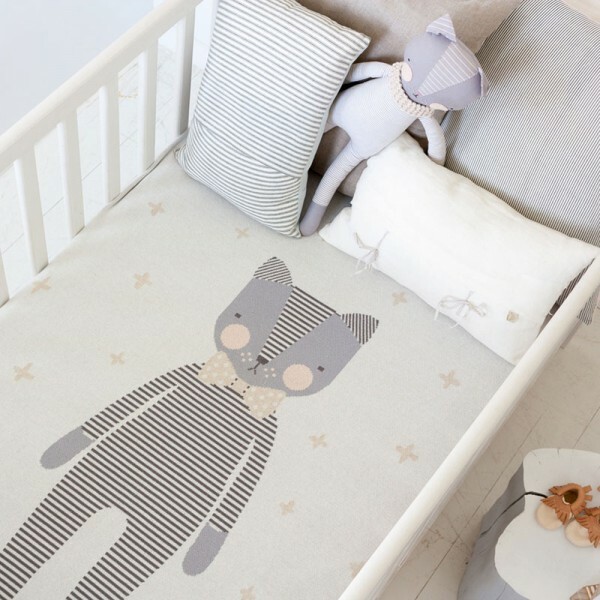 Jolie Petite Chose Kitty blankets – purrfect for the nursery! Looking for a super sweet present for a precious new cherub? We’ve found the purrfect gift right here, click on through to find out where. For all the people who love their feline friends, we’ve the perfect baby gift. 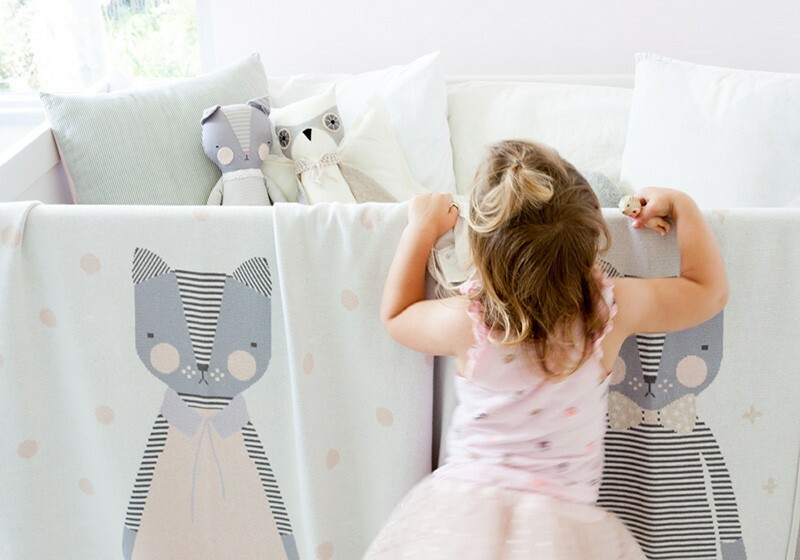 Truth be told, you needn’t be a cat lover to appreciate the sweet Jolie Petite Chose Kitty blankets – the works of their latest collab with Luckyjuju. Made from premium pure cotton and super soft, these beautiful transeasonal knit blankets are generously sized (130cm x 100cm) and ideal for the cot or snuggling in a nursing chair. Two styles are available – Kitty Boy sports a rather dapper bow tie in all of his striped body glory while Kitty Girl wears a pretty peach coloured frock. Kitty blankets are $159 each from Jolie Petite Chose, home of beautiful baby blankets.